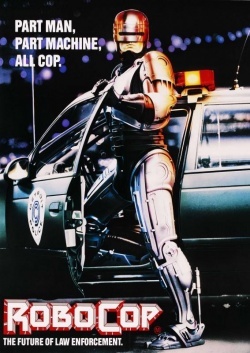 RoboCop won't be protecting the city of Detroit anytime soon. When Detroit Mayor Dave Bing asked the internet for ideas on how the city could be revitalized, one very smart idea came in through Twitter. User MT suggested that Bing build a RoboCop statue in honor of the city's cyborg protector of the late 1980s. Sadly, the suggestion was denied. "There are not any plans to erect a statue to RoboCop," Bing tweeted back. "Thank you for the suggestion." The Twitterverse was then infused with angry RoboCop fans that didn't believe Bing gave the idea a fair chance. "If I were mayor of Detroit, my top priority would be a RoboCop statue," one said. Yeah, maybe that's why you're not the mayor of Detroit. Bing has been trying to make the city safer through various programs such as one that aims to bring police officers back into the city from their homes in the suburbs. Apparently, he doesn't think that a statue from an 80s movie will contribute anything to this goal. Of course, it wouldn't, but it would be really cool if Detroit had honored RoboCop like Philadelphia did for Rocky. If Bing were to put a real RoboCop on the streets, that'd be a different story.